Over the last decade, we’ve been witness to an ever-increasing phenomenon, demanders of attention are increasing as our attention span quickly shrinks. Every day hundreds to thousands of brands are in constant competition for today’s most valuable currency - attention. We live in a 24/7 society where individuals are perpetually consumed by sensationalist global news, endless streams of social media feeds, and instantaneous communication with virtually any connection within a network. That leaves marketers in a bit of a pickle. Psychographic marketing helps marketers penetrate the attention economy by promoting messages that resonate with their audience. It makes the spaghetti approach to brand communication a thing of the past by providing the tools for a data-driven approach. 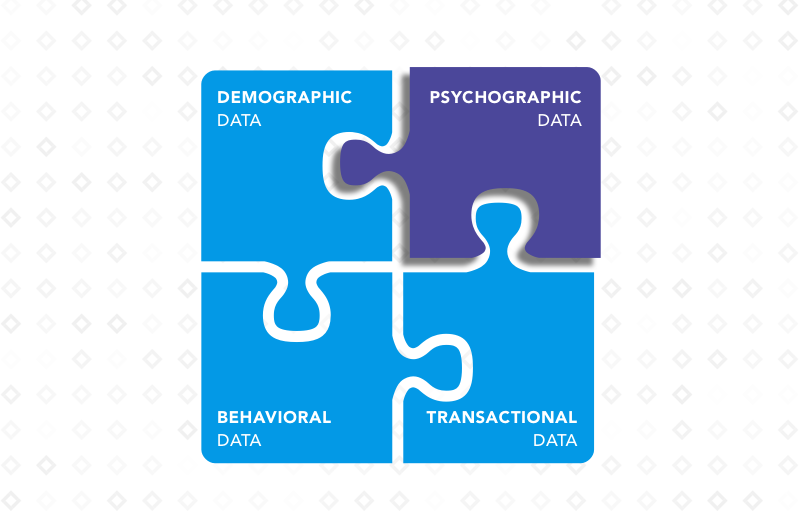 But how do you get started with psychographic marketing? In this post, we’ll give you all the information you need to either get started with psychographic marketing or get inspired for your next project. Psychographics answer the why people act based on their lifestyle, interests, motivators, and personality. When it comes to data, they represent the qualitative side of understanding individuals. Psychographics complete customer personas by adding a softer-side to profiles. They work best when combined with the other three key data types. Demographic Data show you who your audience is concerning static measurements like age, gender, profession, location, and marital status. 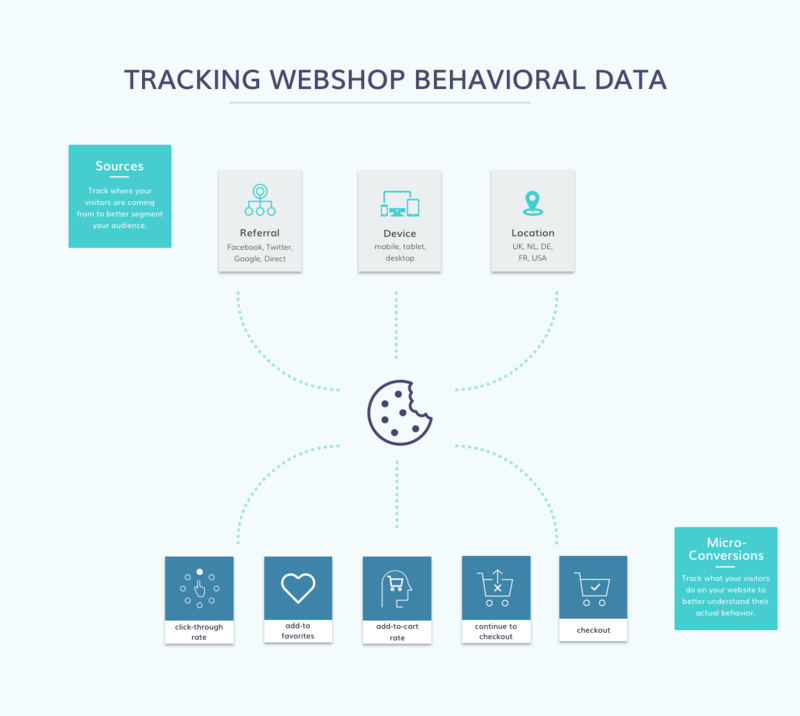 Behavioral Data show you how they acted on your website. 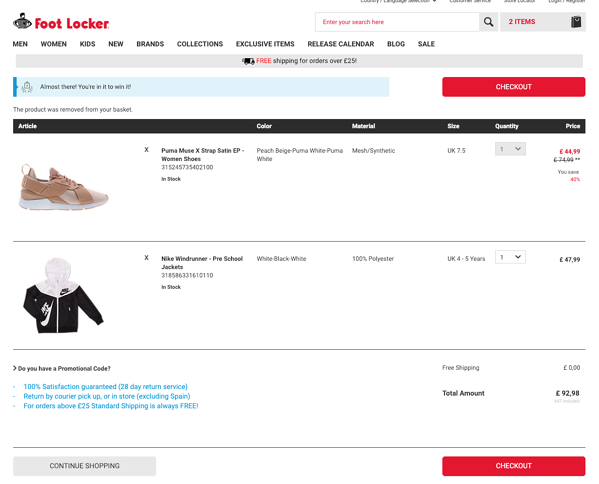 Behavioral data is often represented by micro-events such as click-through rate, add-to-cart, etc. Transactional Data show you what individuals buy on your webshop regarding order value, product identification number, and the number of products. These four data types come together to form a holistic view of your shoppers and customers. This 360-view will give you the insight you need to create data-driven marketing campaigns that are more likely to resonate. Back in the ’60s, when psychographics was first being used as research participant identifiers, it was a lot more difficult to gather this valuable data. Researchers were forced to collect it manually through interviews and surveys. Nowadays, psychographic data collection has never been easier. Your website, social media advertising, and forums hold many golden nuggets of information on your target audience. As a marketer, it’s hard not to have a particular soft spot for Google Analytics. It’s free. It’s detailed. It’s real-time. Music to the ears, I might say. Well, things just got better. On GA, you also have access to some broad psychographics of your website visitors. Just go to Analytics, click on Audience, Interests, and there you have it, interest categories of your website visitors. Google Analytics might be an excellent place to start if you’re interested in some of the overarching interests of your audience. You can use these insights, say, to inspire content marketing or campaigns on the various channels. Virtually every social media platform that offers advertising services will provide details about the psychographics of your followers. You can find this data on Twitter by going to Twitter Ads - Analytics - Audience Insights. This will give some insight into the demographics and interests of your campaign audiences, followers, organic audience, tailored audiences, and all Twitter users,. 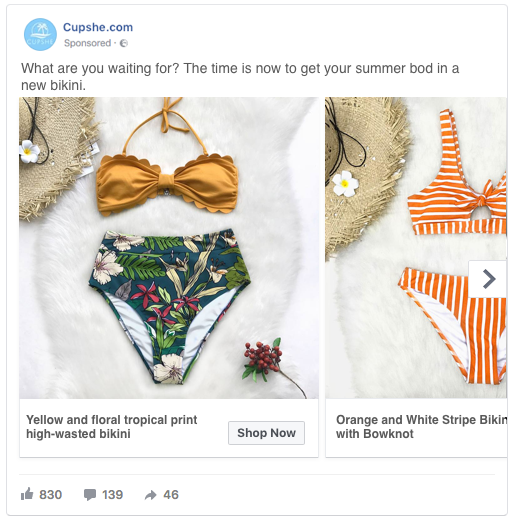 Everyone on Facebook to find more information about potential shoppers that could be targeted in your ad campaigns. People connected to your Page to learn more information about the individuals already following your brand on Facebook so you can better re-engage these individuals. From there, you can search the various interests, page likes, and demographics. You can also use text analytics to derive information from text sources. This can be used for any text-based platform, from social media and blogs to forum posts and call transcripts. Text analytics helps you gain a clearer picture of your audience’s sentiment, word choice, phrases, as well as common topics that they discuss. The process of collection is generally facilitated by technology, you can also do it manually by conducting a content analysis. Or, if you have experience working with python, you can mine the text. Run the analyses on forums like Quora, blogs covering your industry, Twitter, Facebook, or any other site you know your target audience frequents. A more advanced option for collecting psychographics is to run experiments on your website. Here, you can analyze your behavioral data and turn it into psychographics by taking a theory-based approach. With this method, you will run various experiments to test what your visitors respond to regarding copy, psychological principles, product characteristics, etc. 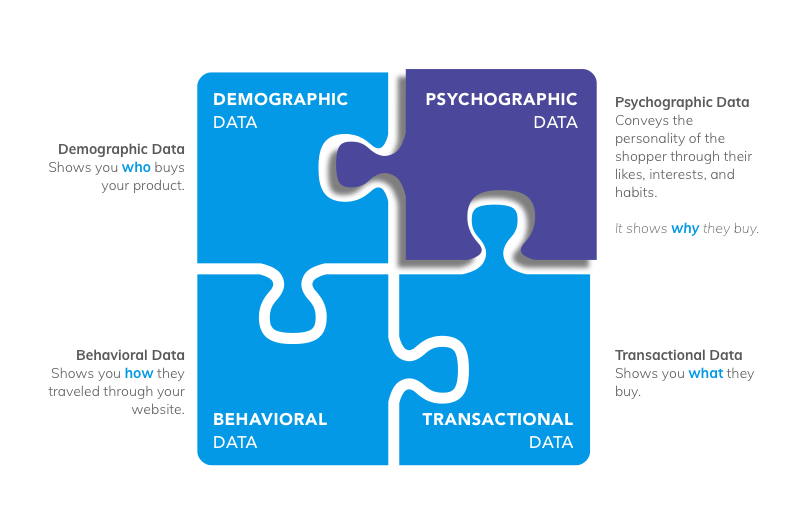 Check out this blog point on turning behavioral data into psychographics for a step-by-step guide. Naturally, you can also go old school and sit down with your customers to understand they explicit preferences and expectations. Customer surveys can be sent after a purchase is made. Offering a small incentive for completing the survey will not only increase the likelihood that it’s done but can also help encourage return behavior. Surveys, however, are limited in their scope because they have to be short enough to keep the (short) attention span of the person filling it out. One-on-one interviews are generally preferable to get a bit deeper than the surface, rushed details of their experience. A relatively low cost way to conduct these interviews is over the phone. It’s also said phone interviews are more likely to generate honest feedback because they are in their natural environment. If financial resources are less of an issue than time resources, focus groups are a good way to involve various stakeholders in a quarter of the time. Beware that this can subject your findings to the “group effect,” where participants’ answers are biased by the outspoken people in the group. You can use psychographic marketing throughout the entire customer journey, from awareness to retention. We compiled some cases of psychographic digital marketing done right to help spark some inspiration for your strategy. The first stage of the customer journey, awareness. In the age of brand concentration and noise, it can be hard to stand out from the crowd. By effectively targeting passive individuals based on their demographics and interests or lifestyles, the chance of getting them on your website significantly increases. Here are several examples we found on psychographic marketing in the various social media. Engagements are unique opportunities to find and attract new business in the social media world, as most platforms allow you to target on the primary keywords that are associated with this major life event. Consider the stories of your customers: How will they use your product? Can they be used for specific celebrations, projects, or hobbies? Take a look at the data you gained during the research phase and pair those findings to attractive copy and images that will capture passive attention because of its heightened relevance. Another wonderful feature that social advertising offers is targeting based on followed pages or accounts. 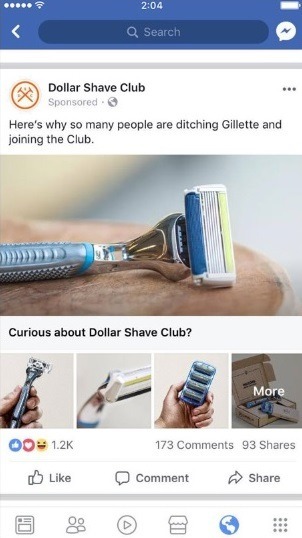 Dollar Shave Club leveraged that feature to serve its ad for Gillette followers. It does an excellent job at grasping the attention of Facebook users by sparking their curiosity through the use of dropping a trusted brand name. Of course, you don’t have to be so apparent in your attempt to win over the customers of your competition. If your data gives you insight on what kind of brands your desired audience trust or use, you can use that as a targeting criterion for your own campaign. This will allow you to find new shoppers that are likely to identify with or want products from your brand. You can also leverage the psychological side of psychographics by using messaging driven by persuasive techniques. 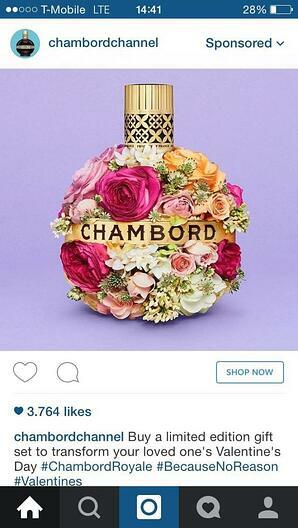 In this Chambord Instagram Ad, they use the bias for exclusivity scarcity, which appeals to individuals that seek out limited products. These individuals have a heightened desire to be unique, making them more susceptible to responding to this form of messaging. Instagram offers extensive targeting features. I find ads on this platform especially useful because the level of targeting can be extremely precise. I’ve been tempted far too many times by these ads. Which is only intensified because the embedded nature of these ads makes it harder to detect the ads from your normal stream. This Under Armour Pre-Roll ad does a great job at bringing together the worlds of a segment of its target audience: baseball meets UA cleats. It shows their knowledge of baseball, a sport where your stats are king. Under Armour strove to dispel this tendency. YouTube allows you to target individuals based on their previous viewing history. This opens the doors to exact targeting based on the demonstrated interests. With this capability, you are able to make precise ads that are directly relevant to the viewer. The next stage of the customer journey moves into the orientation territory. The primary shift that occurs when individuals transition from awareness to orientation is a change of intention. In the awareness stage, people are merely passersby, passively browsing the internet. In the orientation phase, however, we are dealing with shoppers that have intent to make a purchase. They are now exploring the options and considering specific choices. This is an excellent example of retargeting done well. Its language resonates with the target audience, it is relevant to the time of the year and has relevant products that were viewed by the individual. Retargeting can be a slippery slope, so be sure to tread carefully. You don’t want to be mentally blocked by the user because they feel stalked (generally a good rule of thumb). If you’re going to use retargeting, use it with care and don’t overload the individual. Try to motivate them by invoking an image of the person owning the product, as the ad above does. When you're going back to work after the holidays, there’s nothing like walking into those office doors looking so fresh, so clean. WE gets it. And they know their customers do too. When it comes to designing the homepage, you want to capture the attention and drive behavior to a specific place. It’s a prime chance to resonate with the culture of your audience. Product badges can offer a dual purpose, they simultaneously drive behavior while registering motivation triggers. 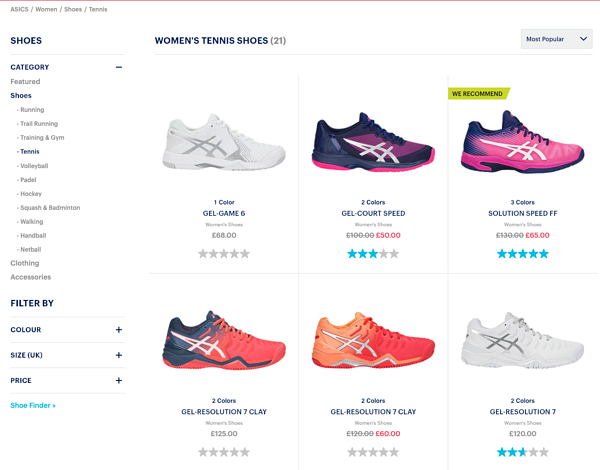 Asics uses badges leveraging persuasion techniques, “We Recommend” uses authority messages to appeal to those who look towards experts in an area for product advice. Persuasion techniques can be used to highlight different product characteristics. Is it a popular product? Use social proof messaging. Is it an exclusive offer? Try out scarcity. The list goes on, just be sure to do your research beforehand to maintain integrity. The smart notification (at the bottom of the product image) in this example brings the attention to specific product attributes that might appeal to the viewer. In this case, being locally sourced. 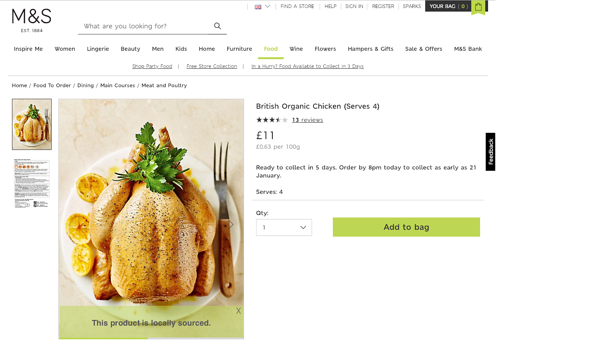 While the meaning of being locally sourced may differ per shopper, knowing that they respond to the message can help inspire campaigns on the segment. Generally, at this point of the customer journey, individuals need an extra nudge to move forward. By highlighting the characteristics of the given product, you can see which is more effective for specific types of people. Using these insights, you can segment your target audience and run corresponding campaigns. At this point in the customer journey, it’s all about activating forward movement. 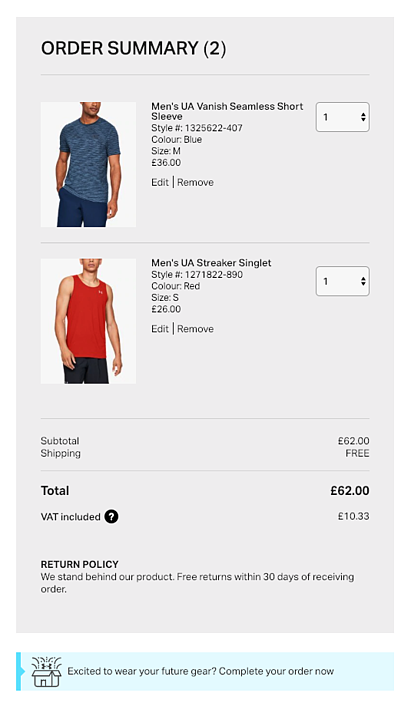 This example lets the shopper know that they’re almost done, which helps boost the motivation to complete the transaction (goal-gradient effect). Other techniques are to focus on brand USPs like free shipping, secure checkout, limited time to check out, etc. Did you know that it’s a common tendency to assign more financial value to items you own? In fact, psychologists argue if you’re trying to clean out your closet, you should consider how much you would pay for certain pieces of clothing if you were to see them in the store. This will help you make the break with clutter. Following this, the example above uses the endowment effect to project owning the product to the shopper. It’s been found to be extremely effective in giving that extra nudge. 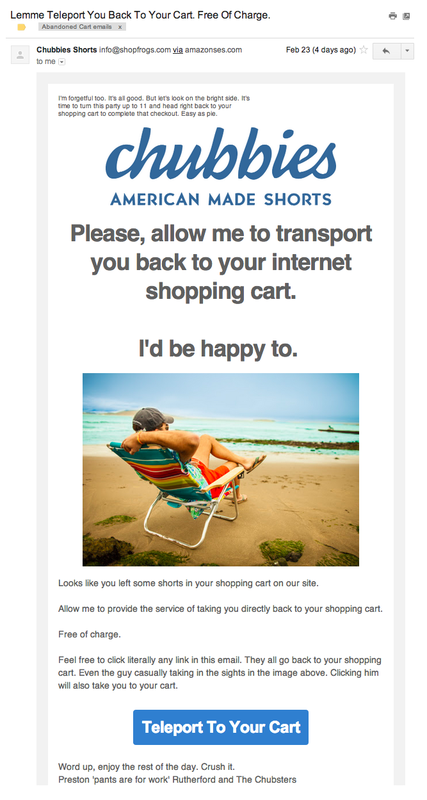 Let’s face it, cart abandonment is that pesky little fly in the room that no matter what you do, it persists. 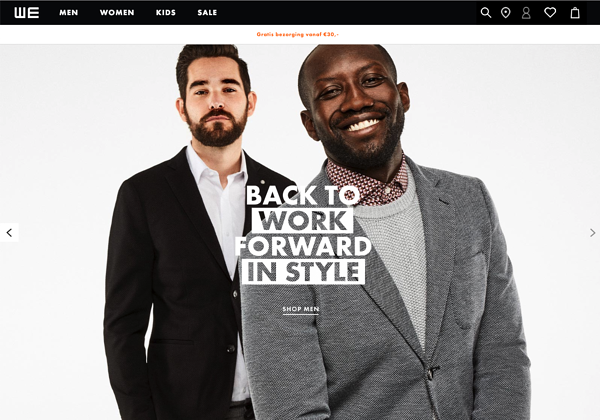 If you really want to get your shoppers back on your site to finish their order, you need to make it worth their while. Paint a picture, tell a story, invoke the necessary imagery using the psychographic information you have on your shoppers to get them back. Chubbies does all of this by delighting the reader and triggering action. By the time you’re moving into retention, you should have a pretty clear picture of the various segments you’re working with. 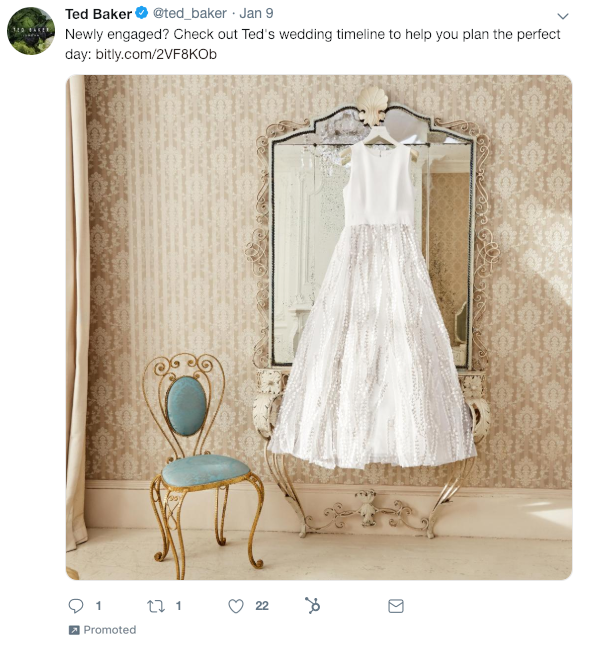 Especially if you’re using persuasive badges, notifications, and nudges, you can start executing the best performing copy on the exact segments with which you’re working. Check out some especially clever applications of psychographics. We love this example because it shows how well Jins knows their customers. Not only do they pull the reader in with an urgency appeal, “Use it or lose it,” but this is related to a life event of their audience. Aka yearly renewed benefits that can pay for the glasses. Consider what’s happening in the lives of your audience. Are there certain times or situations in which they buy from your brand? Try to embed your brand into their lifestyle, culture, or habitual behavior, whatever makes sense for your product offering. The texting and emoji generation has taken center stage as the digital natives grow older. In fact, it’s not even exclusive to the “younger” generations. If anything, my parents are far more consumed by their phones than us youngins. When you think about the number of newsletters any given person is receiving, it pays to stand out. That’s why we like this Kate Spade Saturday newsletter. It’s bold. It resonates with its reader. It drives behavior with its use of scarcity. With this in-depth introduction to psychographic marketing, you have the tools, it’s time to start building. As with any DIY project, be sure to keep your patience and work step-by-step. Know your data: Consider what data points you already have. Understand how to make sense of this. Choose your method: There are various ways to collect data, choose what makes sense for your brand. Whether that be Google Analytics, text analytics, website data, or qualitative methods like customer surveys, interviews, and focus groups. Experiment, iterate, experiment: If you don’t already love experimentation, learn to love it. Treat it like those leafy greens, because, at the end of the day, you might not like the taste, but you need it in your daily diet. Rinse and repeat: These should be a continuous process. Be sure to check back on your data to ensure you’re using up-to-date info and adjust your approach accordingly.